I feel like I've been fighting the gravitational pull of "too many meetings" ever since I became a supervisor. At heart, I'm a software engineer, a maker. I'm naturally a meeting minimilast: code doesn't get written in meetings. But as projects get more complex and a team grows to match, good communication requires structure. And a well prepped meeting is often the best way to make communication work. The problem is that meetings are addictive. One good meeting makes you think the next will be just as effective. You forget that most of the work that makes a good meeting happens before it starts. And as the meetings increase in frequency, it's hard to gear down when your prep time is overrun. You go from meeting to meeting without any prep and as a result they keep getting less and less effective. In my experience, all of the best meetings I've ever attended were about reviewing an artifact - something that took time and skill to make. An artifact can be a board of concept art, a digital sculpt, a build of the game, work in progress lighting captures, etc. Technical artists are familiar with these types of artifacts and the dailies or weeklies where we review them. Creating something, showing it, getting notes, and revising : these steps define a technical artist's work cycle. 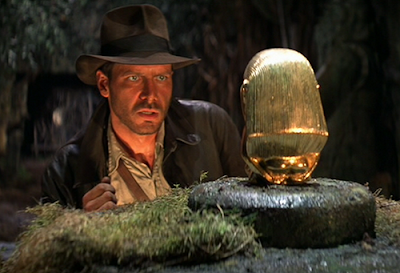 What I want to see more of is an artifact for every meeting, not just for director reviews. For example, a meeting should not be a place to setup context or provide new information. That can be delivered by email. That email and resulting thread is a great artifact to bring into a meeting where a decision is needed. A well organized and well paced slideshow is much more engaging than an improvised speech. Production planning should revolve around well designed and maintained spreadsheets or database. There are two keys to a better artifact. An artifact should be well crafted, designed to the needs of the meeting - which means it should take time to make it good. Even an email takes crafting to make it cohesive, clear, and well formatted. I even think it's better to err on overcrafting... to a point. Putting more effort into an artifact than is needed can lead to a different kind of waste. Secondly, the easier it is to reproduce the artifact, the better. For example, slideshows are fine artifacts but a recording of that presentation is much better. A presented slideshow can change with each telling, but a recorded presentation plays the same every time and can be distributed to a larger audience. The best part about a recording is that you don't even need a meeting to review it. Furthermore, an edited video is easier to work with since you can use a tool like Premiere to finely craft the experience. A script is a good artifact, but an animatic reel is much better. Two audience members can read a script very differently, but a video fills in a lot of what screenplay leaves to the imagination. At Pixar, the animatic reel was the required foundation for all production planning, not the script. There are a few benefits to always requiring an artifact before a meeting. You'll have less wasted meeting time because you'll be spending your time creating artifacts. If there's a reproduceable artifact, especially a playable media of some kind, it's much easier to get people on the same page, get consistent feedback, and make revisions. In the end, any creative team's final product is an artifact of some kind. And the more we spend our time getting good at crafting artifacts at all stages of production, the more we improve on delivering a better final experience to our audience.